The racing world already knows the top two headlines coming out of Sunday night’s Monster Energy NASCAR Cup Series season finale at Homestead-Miami Speedway. The sport will crown a champion among four drivers as well as say good bye to its most popular driver Dale Earnhardt Jr. While he certainly has thoughts on those top stories, Clint Bowyer would like to leave South Florida as the third headline of the evening by taking home the race winner’s trophy from the 1.5-mile high-banked track. The champion’s celebration and Earnhardt’s retirement might overshadow the race winner, but they wouldn’t diminish the accomplishment, according to Bowyer. 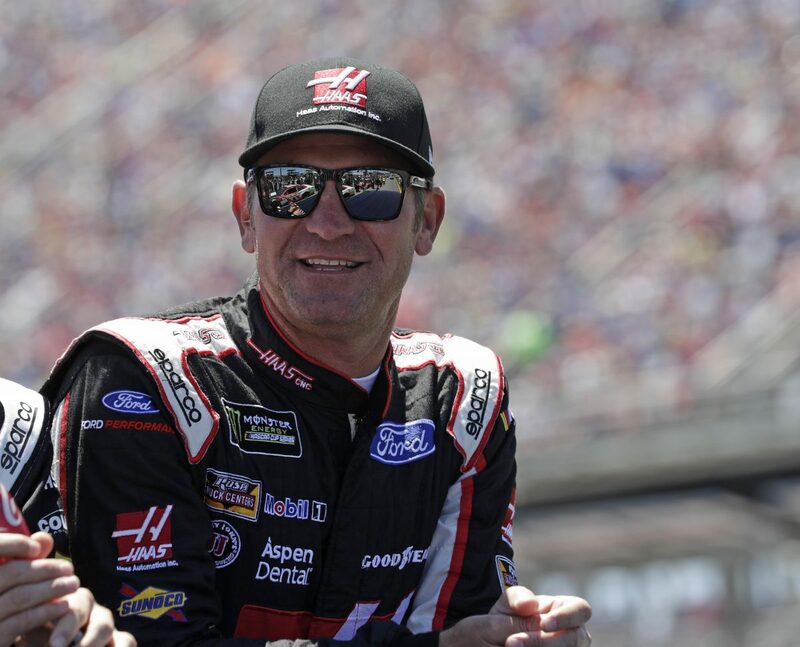 Bowyer has a rooting interest Sunday night as his Stewart-Haas Racing (SHR) teammate Kevin Harvick attempts to bring the nine-year-old team its third title and first for new team manufacturer Ford since 2012. Bowyer, who was also a teammate to Harvick at Richard Childress Racing from 2006 to 2011, said he has no doubt Harvick and the No. 4 team can win the championship again for SHR. As for Earnhardt’s retirement, Bowyer is a bit more reserved. “Most of my good stories that I enjoy and that I’ll always remember about Dale Jr. are – hell no, I can’t say it,” Bowyer said with a laugh before pausing and offering a tribute. Bowyer, who is in his first season with SHR after replacing three-time-champion Tony Stewart in the No. 14 Ford led by crew chief Mike Bugarewicz, has posted three second-place finishes and two third-place finishes. The team narrowly missed earning one of 16 berths in NASCAR’s playoffs despite Bowyer’s average finish of 15.6 that is 12th-best of all full-time drivers this season. He arrives in Homestead hoping to turn around his recent string of bad fortune during which accidents by other drivers ruined consecutive races at Charlotte, Talladega and Kansas, followed by a third-place finish Oct. 29 at Martinsville. Mechanical issues dropped Bowyer to a 36th-place finish at Texas and, at Phoenix last weekend, he finished 13th, overcoming a speeding penalty and late damage on a restart. All of Bowyer’s recent bad luck would wash away Sunday night with a victory, which he’ll gladly celebrate – even if he has to play third fiddle to a new champion and his buddy Earnhardt. What are you going to say to Dale Jr. Sunday night?